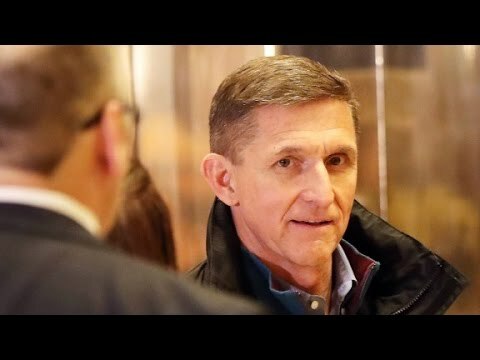 From Syria to Sanctions, Flynn-Russia Quid Pro Quo? The headlines about Trump and his team on the one hand and the Russian Federation on the other are coming fast and furious. The items are often, however, merely isolated data points. Can we draw them together? First, while the Obama administration was imposing sanctions on Russia over its hacking attempts and other activities aimed at influencing the US presidential election, we now know that incoming National Security adviser Mike Flynn was calling the Russian embassy, on December 25. The current cover story for this call, delivered by Sean Spicer, is that Flynn was wishing the Russians merry Christmas. All the policy people are falling down laughing at this assertion. Flynn doesn’t seem to have called any other embassies to wish them a merry Christmas. And as he surely knew but Sean Spicer apparently does not, Eastern Orthodox Christians in Russia do not celebrate Christmas on December 25 but usually two weeks later. And moreover, New Year’s is the big holiday in Russia, not Christmas. Finally, Flynn called the Russians five times that day, which is a lot of holiday cheer. So we may conclude that Flynn was actually doing something other than conveying holiday greetings. The most likely hypothesis is that he was reassuring Russia that Trump did not agree with Obama’s sanctions and that they would be lifted. The second bit of news is that Trump told the Wall Street Journal Friday that he might remove sanctions on Russia entirely if they are helpful in, e.g., fighting terrorism. US sanctions on Russia are reducing Foreign Direct Investment and so harming the Russian economy. They also ruined a $500 billion deal Putin had done with ExxonMobil, whose CEO, Rex Tillerson, has been nominated for the Secretary of State position. You could imagine Putin and Tillerson wanting the sacntions lifted so that they could get back to pumping oil and making money. The third piece of the puzzle is that the Russians have abruptly invited the United States to join them, the Turks, the Iranians and the Syrians at Astana in Kazakhstan on January 23. Trump will be sworn in on January 20. The Russians had not extended any similar invitation to the US in recent months during Obama’s last months in office. So we may conclude that the Russians hope that the incoming Trump administration will be a more constructive diplomatic partner in Syria than had the Obama administration (at least as Moscow defines constructive). The Russians represent themselves as fighting Daesh (ISIS, ISIL) and the Levantine Conquest Front (i.e. al-Qaeda in Syria) in that country, and so as indeed helping the US versus terrorism. The Obama administration had been dismayed that the Russians mainly focused on al-Qaeda and its battlefield allies. Some of the Salafi groups the CIA had allegedly vetted as moderate are in fact extremist and in recent weeks have been making closer alliances with al-Qaeda. But the Obama administration kept calling them moderates even if they had obviously become Salafi Jihadis. With Obama out and Trump in, the political geography of Syria may well be redefined, so that Washington will see the people the Russians are targeting as bona fide terrorists. Maybe it is a coincidence that all three stories have broken in the past couple days. Or maybe the stories are threaded together, with Flynn at the center. Flynn perhaps reassures Russia about Obama’s new sanctions. Then Trump hints strongly that he will lift the sanctions on Russia growing out of its unilateral annexation of Crimea and its election hacking efforts. He makes this end of sanctions dependent on Russia helping with terrorism. And now the US is being suddenly invited again to the diplomatic table regarding Syria at Astana, in what is being advertised as, in part, an anti-terrorism effort.